Rub prime rib liberally with olive oil. Rub on Criollo Beef Spice Rub (source for it under "rubs" in the product list). Preheat oven to 475 degrees. When prime rib is at room temperature place on a roasting rack in a roasting pan that has 2 cups of chicken broth in bottom of pan. Chicken broth should not touch the beef. Place in preheated oven for 20 minutes. 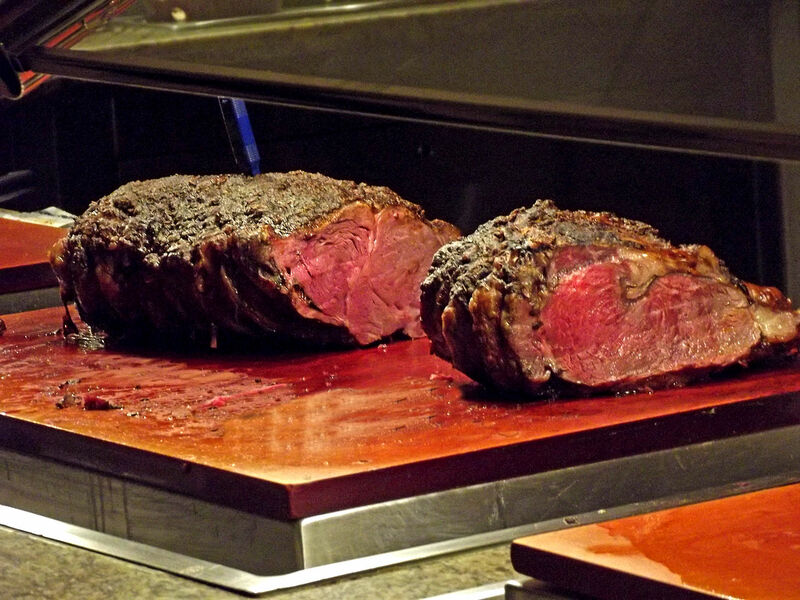 Reduce oven temperature to 300 degrees and cook for approximately 15 minutes per lb of prime rib, using a meat thermometer to assist in judging internal meat temperature. 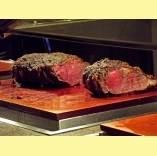 Remove from oven and allow the meat to rest for 10 to 15 minutes under an aluminum foil tent. Carve and enjoy!